A Brisbane charity - born out of the Queensland flood disaster – is calling on private and corporate donors to help complete an urgent mission to Sri Lanka. A Brisbane charity is asking for donors to assist wtih a mission to Sri Lanka. Photo supplied. A Brisbane charity – born out of the Queensland flood disaster – is calling on private and corporate donors to help complete an urgent mission to Sri Lanka. 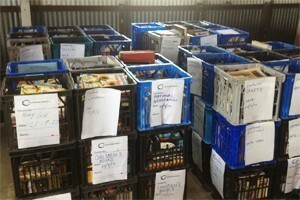 The charity, Connected Inc, is on the hunt for shipping containers to transport much needed school supplies to children in Sri Lanka after generous Australians donated much needed education supplies to a new school. The charity recently received a large donation of pin-boards, chairs, computers, soccer and cricket gear and other classroom supplies which will benefit the fledgling Thomas Galle International School in Sri Lanka. On 30 September 2012 the School, founded by Australian expat Barbie Gall, will open its doors to its first secondary school aged pupils. This will bring the total number enrolled to 106 ranging from Grades 1 through to 12. Connected Inc chief executive, Craig Michaels, says volunteers have been busy packing the goods ready for shipment. “All they are missing are the shipping containers. Tax deductible donations towards transport and customs fees would also be greatly received. “We have been overwhelmed with the generosity from Australian big business and educational organisations in providing high-quality second-hand equipment that would have otherwise been bound for the tip." Seventy percent of pupils who attend the school are locals who might otherwise be denied access to an education. Since its inception, the charity says it has helped over 10,000 Australians recover from natural disasters while assisting 250 flood victim families in Fiji as well.